UPDATED: The operator of the Leviathan II whale-watching boat has said the boat went down so quickly that there was no time to send a mayday call. 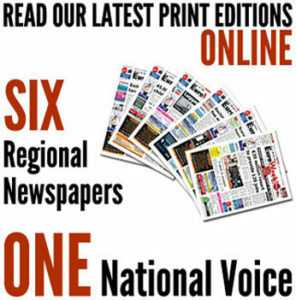 The vessel sank causing the death of five Britons. One man is still missing. Canada’s Department of Foreign Affairs and Trade confirmed that the missing person is an Australian. Lt Cmdr Desmond James of the Canadian Joint Rescue Co-ordination Centre has said the incident could have been “a lot worse” if not for the local community´s quick response. The victims are four men and one woman between aged 18 and 76, British Columbia Coroner’s Office said. It remains unknown what caused the accident but sea conditions are said to have been calm at the time. The ship’s skipper has more than 20 years of experience, 18 years with the company, she added. UPDATED: UK Foreign Secretary Philip Hammond has said five Britons were killed after a whale-watching boat sank off the coast of Canada. Melissa Kai of the Joint Rescue Co-ordination Centre in Victoria said the search had ended and the Royal Canadian Mounted Police had taken over the case of the missing person. 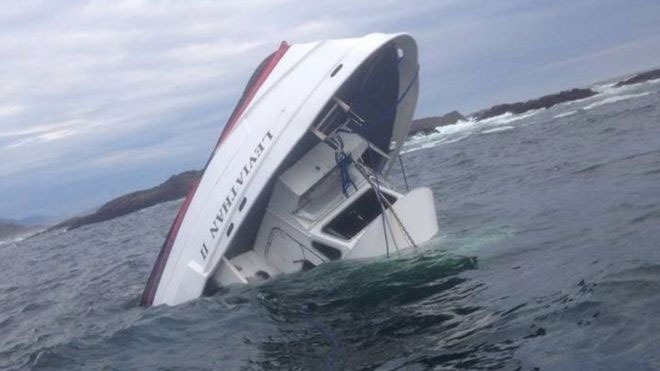 The Leviathan II boat had made a mayday call before it sank about eight miles (12km) west of Tofino. A rescue helicopter was at the scene within 30 minutes of the call for help. A Leviathan II whale-watching boat carrying 27 people sank off the coast of Tofino, British Columbia, on Sunday. The Joint Rescue Coordination Centre rescued 21 people. Five people are reported dead and one person missing. Victims’ nationalities are not known yet. The boat, owned by Jamie’s Whaling Station & Adventure Centres, is a 65-foot cruiser with three viewing decks. The company has released a statement on its website: “It has been a tragic day. Our entire team is heartbroken over this incident and our hearts go out to the families, friends and loved ones of everyone involved. We are doing everything we can to assist our passengers and staff through this difficult time,” Jamie Bray said. According to Canadian broadcaster CBC, a witness said the boat had sunk far from shore. The Transportation Safety Board of Canada said it would start investigations into what caused the boat to sink.